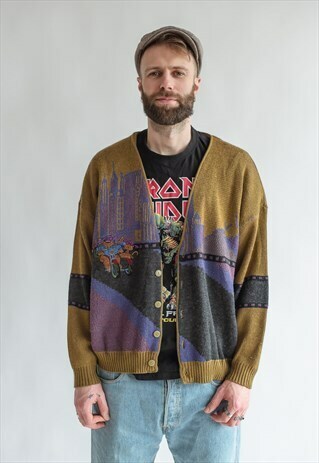 Lovely vintage 90s jumper, Relaxed fit, size L/XL regular Model usually wears size L/XL is 6ft5/195cm tall. Great condition but keep in mind that it is vintage item and signs of natural wear/age might appear. If you have any questions about item dont hesitate to message us.